1. 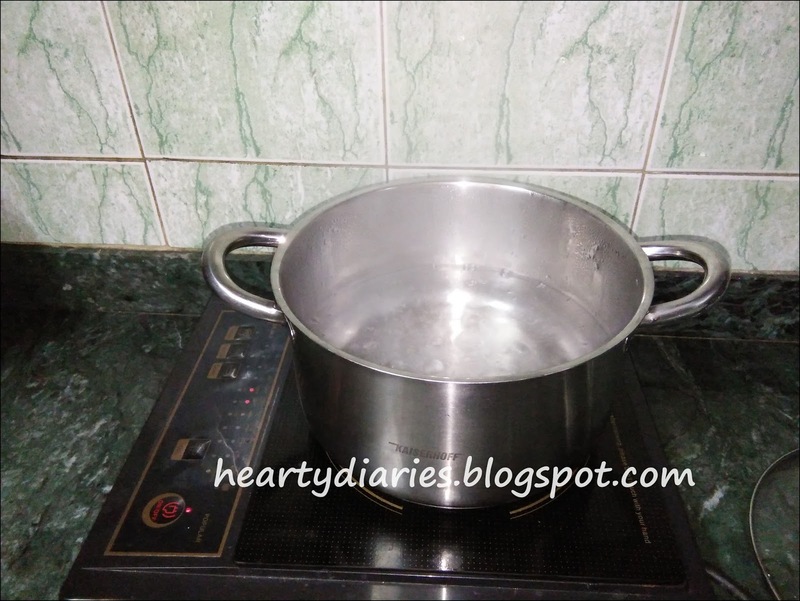 Take eight cups of water in a pot and bring this to boil. 2. 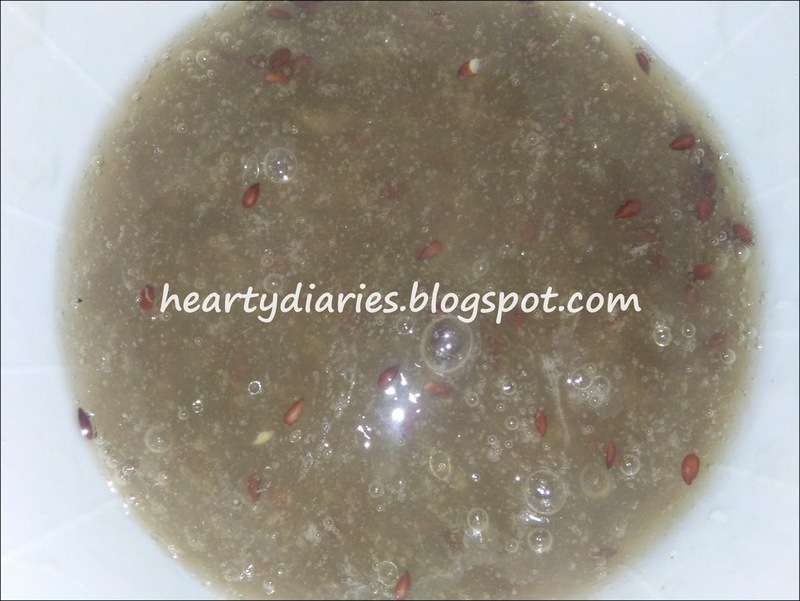 Add one and a half cup of flax seeds or alsi in it stirring the mixture often with a spoon. 3. 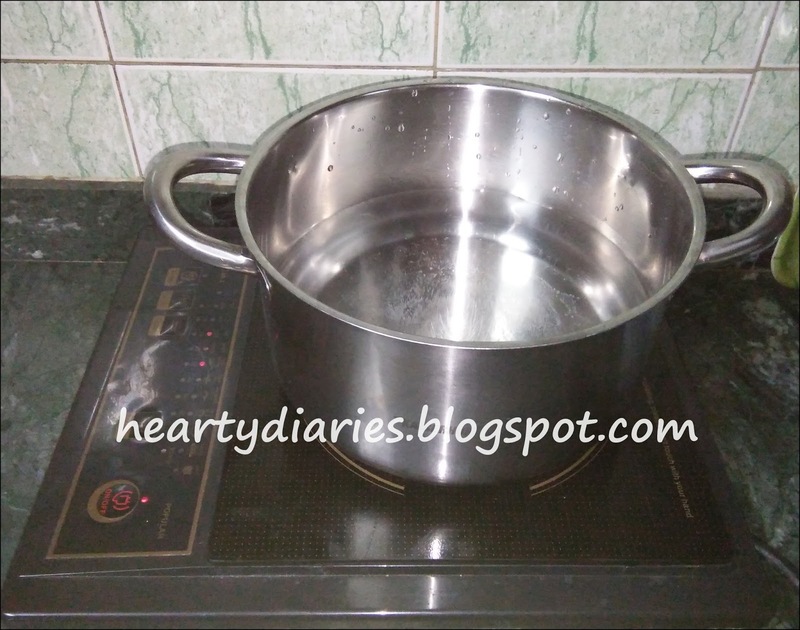 Once it is boiled, reduce the flame to low and let it boil further for five to eight minutes. You will notice the water getting thicker and gel like. It is at this time that you need to switch off the flame. 4. 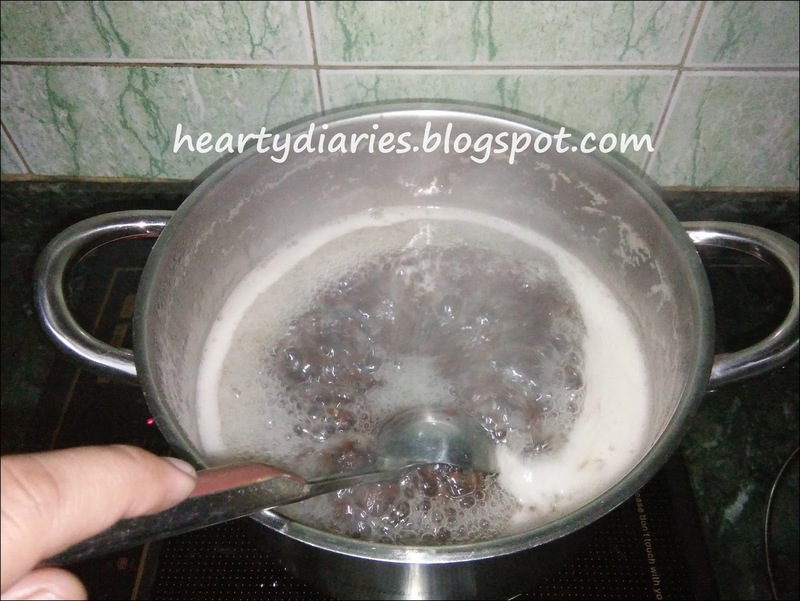 Strain the mixture using a strainer or by using a muslin cloth before it cools down. Take help of someone else too as it is little difficult to strain it alone while it is hot. I did this alone and got some seeds in mine but I don’t mind them. They are not much and I pick them while applying. Try to extract as neatly as possible. If you let it cool and then strain it, the gel will condense and you will get low amount. Also the extraction will be little difficult. 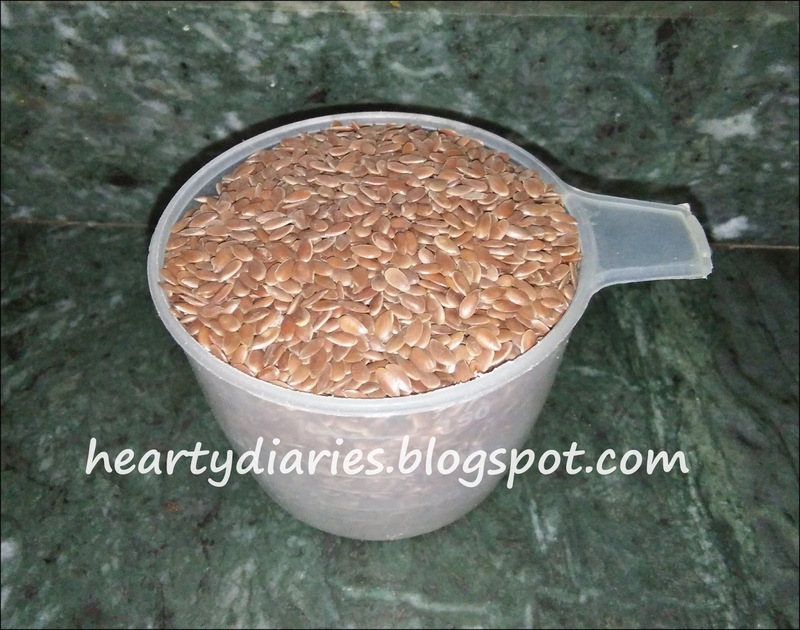 You can re boil these flaxseeds to extract even more amount of gel. You can either use this gel like so or you can add aloe vera gel, vitamin E capsules, two or three drops of essential oils or honey to it. I have added vitamin E capsule, honey and aloe vera juice in mine. Just add anything whose goodness you want to add in your gel. Tip: If you are using fresh aloe vera gel, do not add it in the entire gel. 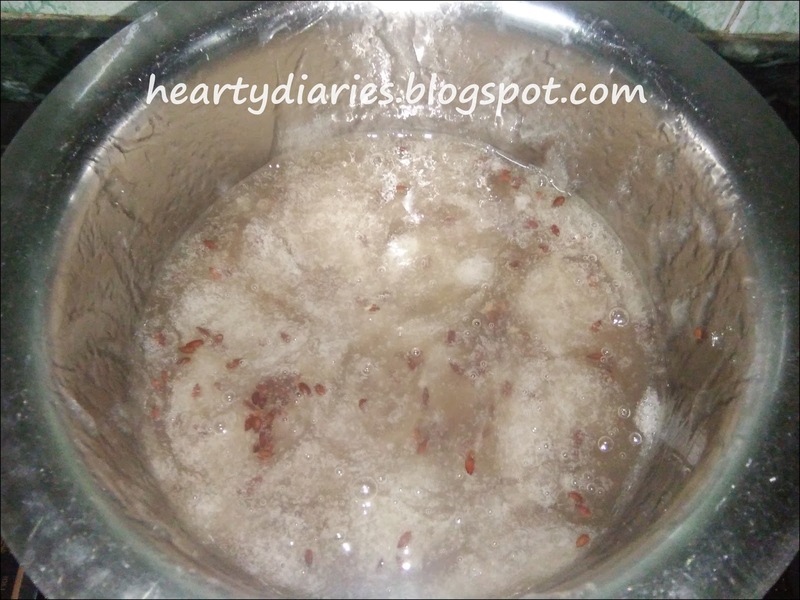 Extract the gel and add it only when you are applying the flaxseed gel to your hair. How long does flaxseed gel last? Store the gel in an air tight container. Do not make really high amounts at a time as this gel doesn’t have really long shelf life and it will last for about two weeks. 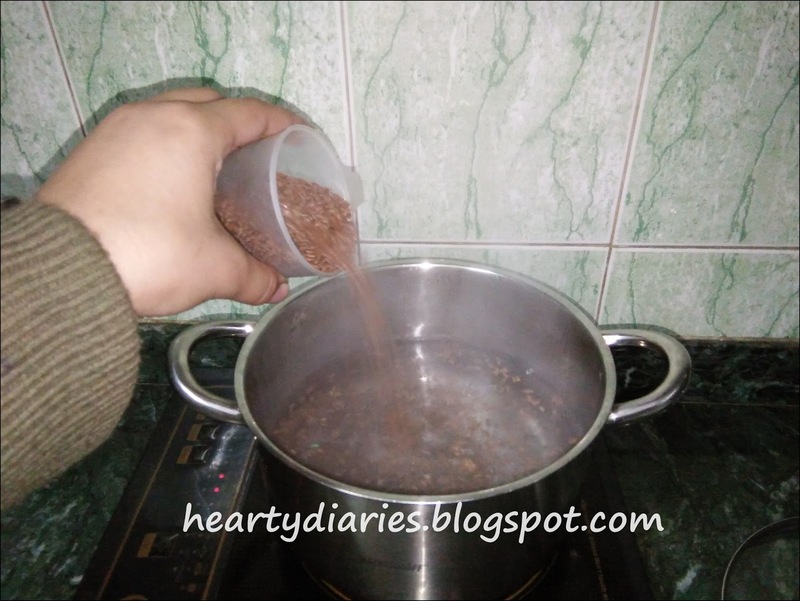 Rather than freezing huge amounts, make a very small amount which you can use till two weeks and store it in a refrigerator. You can also add preservatives if you want to preserve it for a long time. Take the gel out from refrigerator and use it. If you feel that it’s cold, you can warm it up a little or take it out of the refrigerator half an hour before use. Take little sections of your hair at once and apply good amount of this gel to it. After finishing applying it to all the strands of your hair, secure them in a bun or a shower cap. Just dip your fingers in the gel, take a little amount and apply it to your hair. You can either use it only at the ends or also apply it to your scalp and massage using circular motions. What I like about Flaxeed Hair Gel? This gel can be used as a styling gel as well. It is very versatile for your hair and doesn’t make them greasy. You can apply it for even a day or two and it’ll have no harm like other commercial gels. This gel will not give you hair as straight as done in hair rebounding but it will reduce the frizziness to a considerable level and will make your hair look really manageable and straight. You can also use this gel for ‘slicking’ your hair back when you make buns. How does this gel work in getting straight hair? Flax seeds or alsi are high in Omega-3 fatty acids which help avoiding dry, scaly scalp, and nourish the hair. It also increases the hair elasticity and makes them straight with less breakage.